DOCTOR WHO: Companion Pieces - EVELYN SMYTHE | Warped Factor - Words in the Key of Geek. 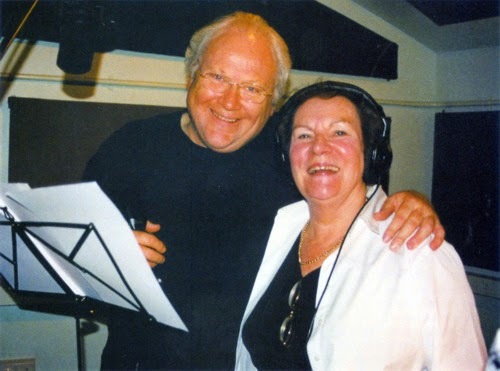 In light of the recent passing of actress Maggie Stables, Tony Fyler pays tribute to the character she played in the Big Finish audio stories, Evelyn Smythe. Who was the definitive companion for the Sixth Doctor? Was it Peri Brown, the perky American botanist? Or Melanie Bush, the computer programmer from Pease Pottage with a penchant for carrot-based cordials? No, according to Colin Baker, the actor in the paint-explosion coat, the Sixth Doctor’s definitive companion was Doctor Evelyn Smythe, a professor of history at Sheffield Hallam University in the Big Finish audio range. 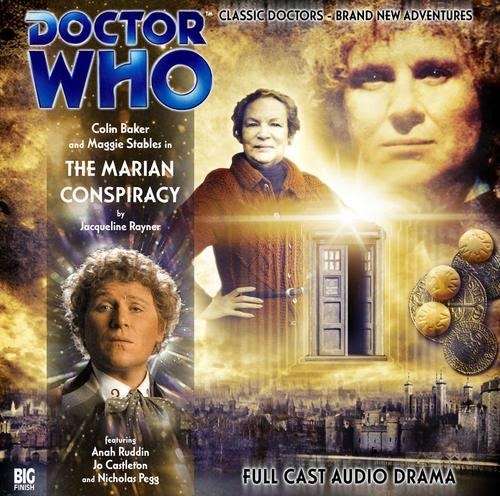 Played with a kind of grumpy older academic realism by Maggie Stables (a stalwart of the Big Finish audio range from the very first Who story, the Sirens of Time), Evelyn enters the Sixth Doctor’s life not by wandering into the Tardis, but by the far more modern expedient of being a complex space-time event. Not that Evelyn recognises herself as a complex space-time doodah, but the Doctor is tracking such an event and his investigations lead him straight to her (he has a detector that goes ding when there’s Stuff). Evelyn is an expert in her own family tree, and in particular her first ancestor of note, who was an advisor to Elizabeth I, so when the Doctor tells her that her family tree is being chopped out of history, she quickly buries her instinctive reaction – “you’re a madman” – and follows him into the Tardis to have a romp around Elizabethan England in The Marian Conspiracy. Right from the beginning, Stables invests the character with a solid sense of self, and a sureness of her own facts that it’s often a delight to hear punctured by experience. Importantly, bucking a trend that was established by the time of the Second Doctor, Evelyn Smythe was an older companion, with an older person’s sensibilities, experience and understanding of people: long before Wilfred Mott was ever allowed to set foot in the on screen Tardis, Evelyn Smythe had proved how delicious the dynamic could be between the Doctor and someone who not only knows their stuff (as Romana did), but has the experience of life, love, loss and learning that only comes with having lived a few extra decades. She is never quite one for “What is it, Doctor?” dialogue. More often than not, she’s the bringer of “Alright, I’ll see you back in the Tardis, you have fun, I’m going over here to explore” dialogue, which both exasperates the Know-It-All Doctor, provokes his impish sense of humour, and engenders his respect for her go-get-it spirit of adventure. Right there at the start, she wanders off into an Elizabethan tavern with a bunch of ruffians, and manages ultimately to establish her position among them with a superiority of knowledge and logic that definitely harks back to the first Romana. Evelyn though was quickly at home dealing with oddness in all situations, not just those of Earth history. In The Apocalypse Element, she accompanies the Doctor to Gallifrey, and leads a valiant resistance to the invasion of the planet by the Daleks. She does this in just the third adventure in which we see her, (though Evelyn’s timeline is by no means straightforward). Perhaps the defining characteristic of her relationship with the Sixth Doctor is self-possession, and she is never above taking the Doctor to task on his decisions or his alien objectivity (in Medicinal Purposes, she and the Doctor are at odds over the validity of the work of Burke and Hare, the bodysnatchers, for instance). They disagree again over the potential of a young man by the name of Thomas Brewster, and having given Brewster a chance to make something of his life in England in the age of the Industrial Revolution, Evelyn persuades the Doctor to stay on undercover for a while, to see how things work out for the chaos-magnet young man. The Doctor may not agree with Evelyn’s assessment of Brewster’s potential, but he bows to her desire to keep an eye on him and see what he does with the chance they give him. Evelyn’s self-possession clashes with the Doctor’s, apparently permanently, in Project: Lazarus, when the Doctor fails to save a young vampire woman, Cassie, from the designs of Nimrod, and Evelyn cannot really forgive him the failure. But for a woman whose first marriage broke down due to her single-minded dedication to her historical researches, her travels with the Doctor reveal her as open to the potential of the universe in Arrangements For War, when she meets and falls in love with Governor Rossiter of the planet Világ; when she and the Doctor return to the planet a year later, she follows her heart for once, rather than her nose for adventure, and stays to marry Rossiter. The Doctor disappears in a cosmic huff, and returns two years later with new, peppy companion Mel, to meddle in local politics, help correct a devious DNA project in which Evelyn is an unwitting guinea pig, and ultimately make things right with the history professor. In the meantime, she has been visited by the Seventh Doctor, to explain that the son of poor Cassie, Hex, has become his travelling companion, and that therefore some good has come out of the Cassie debacle after all. While the Fourth Doctor and the Second Romana had a relationship that was very much akin to that of a newly married couple (hardly surprising, given the relationship between Tom Baker and Lalla Ward), before there was River Song, and before there was Idris the living Tardis, the Doctor had had one relationship that had all the characteristics of an “old married couple” – and that was with Evelyn Smythe. They respected each other’s strengths and each other’s moral positions, but they also had the capacity to fight their corners like cats and dogs, to shout and argue, to storm off into their respective corners, and yet to spring back together when either was in real trouble. Their relationship worked the way it did, and as well as it did, specifically because Evelyn was an older person on board the Tardis; that age and experience and refusal to be swept away or blown away by Mr 900-Years was unique to Evelyn Smythe, and in the personality of a younger person, it could well have come across as Adric-style petulance, rather than Amy Pond-style understanding. But Evelyn was neither Adric nor Amy, she was the Doctor’s equal and his almost-opposite, and Maggie Stables and Colin Baker worked superbly well together to build that relationship. Given all of which, it’s odd and slightly out of tune that the Sixth Doctor’s definitive companion ends her time in the Doctor Who world not with him, but with his successor, Sylvester McCoy’s Seventh Doctor. In A Death In The Family, we hear the end of Evelyn’s life. 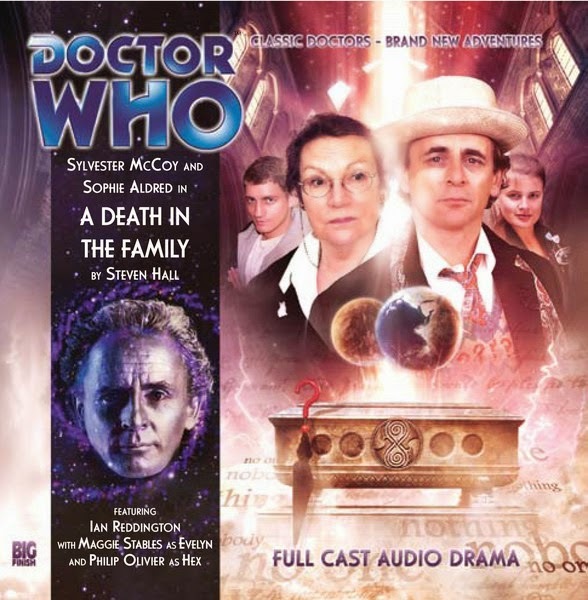 Ten years after her second husband’s death, the Seventh Doctor visits her and she takes Hex as her ward for several months, to teach him about his mother. Knowing that her own death is imminent, she agrees to let the Seventh Doctor trap a pan-dimensional evil, Nobody No One, in her mind, and when she dies, she saves the universe one last time, taking Nobody No One with her into oblivion. Maggie Stables, the actress who gave life and truth and vivacity to the Sixth Doctor’s ultimate companion, died in her sleep on 26th September, after a long illness that had since 2013 stopped her from recording any more Evelyn Smythe stories (she was such a joy to write and to hear played that Big Finish had no qualms in going back in time to record further Evelyn stories, even having delivered her death scene). Evelyn Smythe will go down in the show’s history as not just the ultimate Sixth Doctor companion, but also as one of the greatest, most vital characters in the canon, either on screen or in audio. She proved the concept of an older companion, and some might say she also re-proved the idea of an older, spikier inhabitant of the Tardis at all in 21st century Who. Anyone who listened to her breathing life into the character of Evelyn Smythe has cause to miss the sound of Maggie Stables. We at WarpedFactor, devoted fans of everything bold and bright in Who, will miss her greatly. Rest in peace, Maggie Stables.